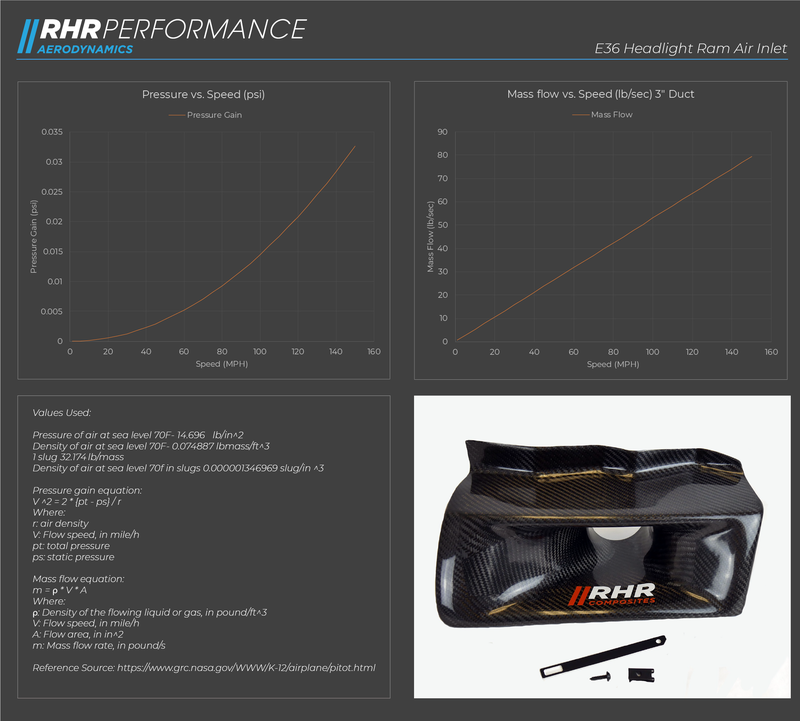 This Headlight Ram Air Inlet offers a performance advantage for serious track cars. High pressure air is ducted directly toward the air filter, and the carbon construction reduces weight by approximately 80% versus the OEM headlight assembly. The Inlet utilizes the OEM mounting locations for easy installation and the factory corner marker can be attached to the flange of the carbon duct. These are fabricated with a lightweight clear coat, which offers UV protection from yellowing and hazing. Included is an anodized aluminum mounting bracket.